Add the quick-disconnect plate to the quick-draw Gun rack and you get the most versatile means ever for transporting your trusty weapon. Once the permanent mounting plate is secured, the quick-draw supreme can be installed or removed in seconds - with just a few turns of the four detaching screws and you are good to go. The quick-draw supreme has All the great features as the regular quick-draw. 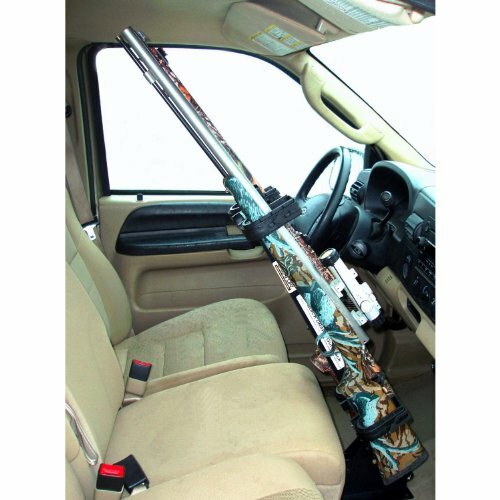 Two-gun capacity, easy mounting, quick access, Gun holders with baby-soft cushioning for maximum protection of stocks and forearms, upright mounting that allows passenger leg space. The quick-draw frame is constructed of aircraft aluminum and finished off with Super tough powder coat paint for years of good looks and dependable service. If you have any questions about this product by Great Day, contact us by completing and submitting the form below. If you are looking for a specif part number, please include it with your message.